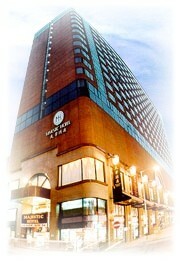 Majestic Hotel occupies a fine 15 storey building on Nathan Road in Kowloon. A stone's throw away from the Mass Transit Railway (MTR), it provides ready access to Hong Kong's main commercial, entertainment and shopping districts on either side of the harbor. Acclaimed tourist attractions such as Jade Market and Temple Street Night Market also in close vicinity. the hotel complex also houses a quality 30,000 square feet shopping arcade and two cinemas.